What exactly is plywood? The original plywood turned out to be like this! - Shandong Jinlun Machinery Manufacturing Co,Ltd. You are here: Home / News / What exactly is plywood? The original plywood turned out to be like this! Want to know what plywood is, first of all you have to understand how it is made, that is, the production process of plywood, in order to understand what the characteristics of this board is, what kind of furniture is suitable for plywood, what to avoid furniture to avoid Use this material. Not much to say, together with Xiaofu to understand in detail what is plywood! First of all, let's take a look at the official introduction: in the narrow sense, plywood is a three-layer or multi-layered plate-like material that is cut into veneers by wood or sliced into thin wood by wood, and then glued with adhesive, usually with odd layers. The veneers are formed by gluing the fiber directions of the adjacent veneers perpendicularly to each other. In a broad sense, a plywood is a multi-layered sheet-like material obtained by cutting a wooden section into a veneer or cutting it into a thin wood by wood, and then bonding the adjacent veneers whose fibers are perpendicular to each other with an adhesive. Like the picture above, the outermost front panel is called the back panel, the reverse side is called the back panel, and the inner layer is called the core panel. 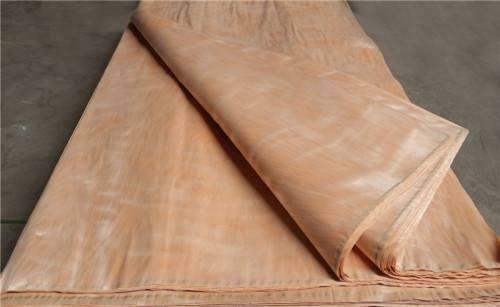 The core sheets are generally divided into three sizes of 3 PCT, 5 PCT, 9 PCT, 12 PCT, 15 PCT and 18 PCT (1 PCT is 1 mm). The finished product is usually 5-40mm, and the surface is decorated with technical veneer or melamine paper. It is popular with the public because of its varied appearance and price. The main tree species are: eucalyptus, hawthorn, willow, poplar, elm and so on. What is the production process of plywood? The production process of plywood is generally as follows: log-cut-screw-cut logs and centering-slab drying-slab processing-gluing-embryo-hot pressing-cooling-longitudinal cross-cutting-sanding-inspection. In fact, simply speaking, after a tree has been cut off, it is a layer of thin wood after being put into a professional machine. As shown in the figure below, it is finally made into a complete plywood material through a process such as gluing and hot pressing. What are the characteristics of plywood? 1. 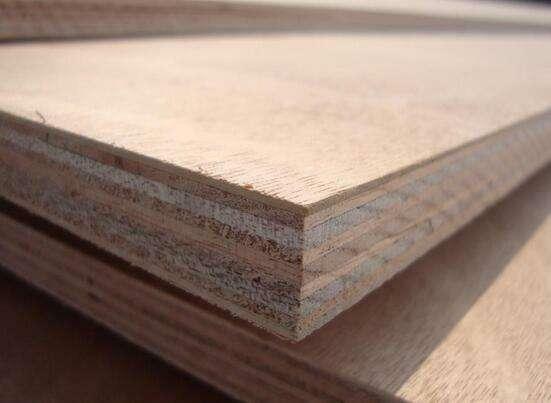 Plywood can save wood because of its high wood utilization. 2. The plywood is made up of multiple layers, so it is much cheaper than the solid wood, but the plywood has a large amount of glue. If the edge sealing is not strict, it will increase the degree of pollution hazard. 3. 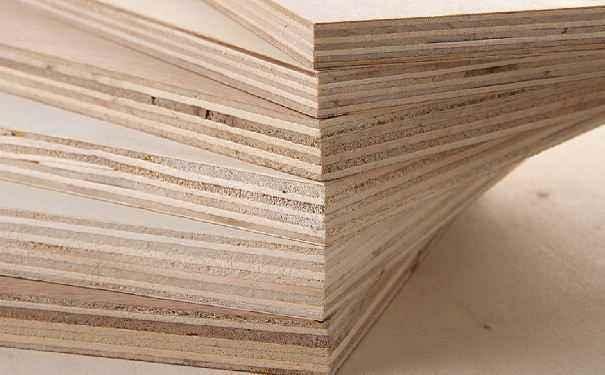 Plywood is also known as splint, plywood, nine PCT, multi-layer solid wood. Xiaofu here to remind: the name of the multi-layer solid wood board is essentially just the name of the merchant for the "beauty" on the name, and has nothing to do with the solid wood itself. Therefore, consumers should not look at it in the plate and think that the plywood is solid wood. 4. The number of layers of plywood is generally odd. Why is this? Odd layer principle: Since the structure of the plywood is that the fiber directions of the adjacent layers are perpendicular to each other and must conform to the principle of symmetry, the total number of layers must be an odd number. In addition, the maximum horizontal shear stress of the even-numbered plywood is applied to the adhesive layer instead of acting on the veneer, which easily breaks the adhesive layer and reduces the strength of the plywood. Some people do not know the relationship between glulam and plywood. Glulam, also known as glulam, is a common wood construction material used in life. 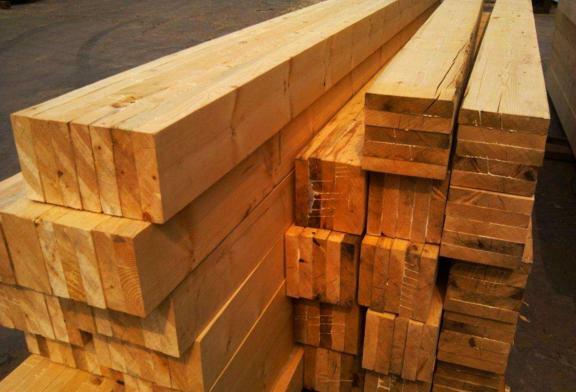 Glued wood is a structural material made by cementing individual specifications of wood under certain conditions, such as glulam, curved glulam, glulam beam, Douglas fir glulam. Its characteristics make it often used to meet the aesthetic architectural and structural needs. In the production process of glulam, the ends of the chips are bitten to each other and horizontally arranged in layers. The lamination method can effectively utilize high-strength but small-sized wood to make large structural parts of various shapes and sizes. It can be used to make long-span curved beams, which are widely used in the manufacture of stadiums and large public clubs.